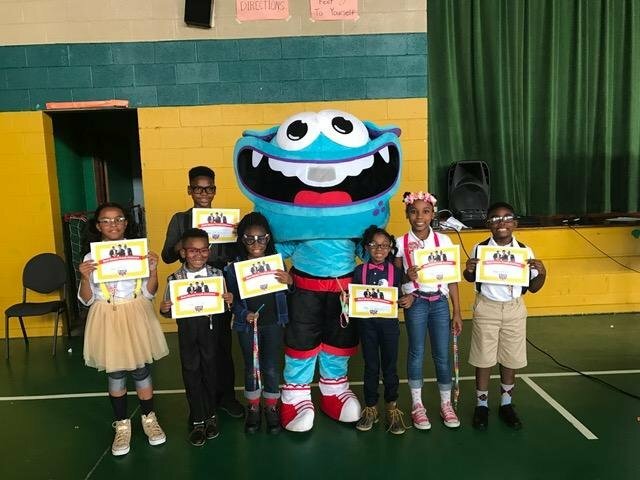 Linwood Elementary School was chosen by Baptist Health Systems to host a pep rally introducing the newest group Blazer Fresh on GoNoodle Plus! Students dressed as nerds and sported their Blazer Fresh costumes for a contest! There was also a special guest appearance by Freckles Sinclair, one of the GoNoodle Champs! All of the students enjoyed their time dancing and singing to popular Blazer Fresh songs.